Beijing’s efforts to impose a new normal on the South China Sea are more Selden than Zheng He or Grotius. The Naval Diplomat spent part of the recent family holiday, adult beverage(s) in hand, updating the status of the territorial controversies in the South China Sea. Check it out over at China-US Focus. My overall take: Beijing has grown impatient to settle matters on its terms, to the extent of junking the leisurely, relatively low-key "small-stick" approach that held such promise. The leadership now appears ready to accept the diplomatic blowback that may come from deploying fighting ships alongside the unarmed maritime-surveillance vessels that execute small-stick diplomacy. The Philippine press reports, for instance, that a PLA Navy frigate has joined the bevy of law-enforcement ships at Scarborough Shoal. This hybrid force has enclosed the atoll in a "cabbage" of steel hulls, denying Philippine mariners entry. So much for China's accomplishing its goals without looking like a regional bully. But this wouldn't be the first time Beijing has aborted a fruitful diplomatic initiative for reasons that remain a mystery. Remember Beijing's charm offensive toward its Asian neighbors? Me neither. Toshi Yoshihara and I wrote about it. Joshua Kurlantzick published an entire book about it. By putting the faces of great figures from the past — in particular those of Confucius and Admiral Zheng He — on its rise to great power, Beijing hoped to portray itself as a trustworthy, beneficent steward of maritime security in Asia. It drew a stark contrast between China's maritime past and the Western legacy of seaborne conquest. This soft-power campaign may have worked, given time. But who's to say the forceful approach won't work, even though China now glowers rather than smiles at its neighbors? Effrontery such as the cabbage strategy occasions barely a murmur among commentators these days. The press thrives on novelty. Run-ins over East Asian islets and shoals are no longer novel. They're routine. And that's precisely the point for Beijing: its efforts to enforce "indisputable sovereignty" are no longer that newsworthy. 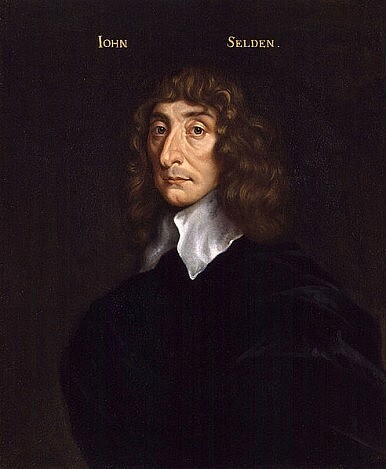 If indeed a new normal settles in across Southeast Asia, the half-forgotten English jurist John Selden should be the toast of China. Selden's contemporary and foil, the 17th-century Dutch sage Hugo Grotius, will find himself a lonely exile. The South China Sea controversies mark the latest phase in a centuries-old debate: can states exercise sovereignty over waterspace the way they do on land? The Anglo-Dutch debate was as politically charged as today's. The Dutch coveted unfettered access to the Indian Ocean, where the Portuguese styled themselves lords of the sea. Grotius' doctrine of mare liberum, the free sea, was a broadside against Vasco da Gama's successors as much as it was a legal theory. Grotius allowed that a coastal state could claim enclosed waters under certain circumstances, or straits when it controlled both sides, or rivers when it occupied both banks. But the open sea was too broad, its resources too abundant, its borders too ill-defined, to permit any coastal state to proclaim itself sovereign. No one could enforce such a claim. Hogwash, replied Selden. He scoffed at the ancient sources to whom Grotius appealed to back his idea of a maritime commons. The Englishman pointed out, moreover, that sovereignty is first and foremost a matter of controlling territory within certain lines on the map. He insisted that coastal states could indeed bring sea areas under their sway. This was the doctrine of the closed sea, or mare clausum. Sovereign jurisdiction went as far as the fleet, or shore-fired artillery, could carry it. Like Grotius, Selden had a partisan interest. During their lifetimes a rising Great Britain was vying with a dominant Netherlands for mastery of the seaways connecting northwestern Europe with the broad Atlantic, and thence with the rest of the Seven Seas. British officialdom and seamen thus had a vested interest in setting the terms of access to nearby waters. Forced to pass by the British Isles to reach the high seas from their home ports, Dutchmen argued tirelessly on behalf of the commons. Ergo, the intellectual smackdown between Selden and Grotius. It must be uncomfortable for a country like China, whose leadership constantly decries imperialism, to keep company with imperial Portugal and Britain. Yet John Selden could be the face of Beijing's new normal in the region. What the 38th parallel may have in common with the much discussed ‘nine-dashed line’.